Let Teece Crane Hire lift your next project! Lifting and shifting is made easy with our franna crane services and fleet of Terex mobile cranes for hire across Brisbane, Gold Coast, Sunshine Coast, Ipswich, Logan, Waterford, and Toowoomba. Teece Crane Hire is a family owned and operated business established in 2007 that never sacrifices quality. With over a decades industry experience in lift and shift, our team always gets the job right - the first time. We offer the most competitive rates in mobile crane hire and personalised crane services in Brisbane, Gold Coast, Sunshine Coast, Ipswich, Logan, Waterford, Toowoomba and surrounds. Our team of motivated local operators with diverse skills and experience can provide you with an obligation free quote anytime. We have only the most knowledgeable and qualified crane operators and dogman as part of the Teece Crane Hire team. You will find our staff easy going and friendly while always delivering professional service and efficiency. From your initial enquiry about our Terex crane hireservices at our office right through to the completion of your lift and shiftproject, you will encounter expert advice from our team of experienced drivers,dogman, and office staff from start to finish. Our mobile cranes for hire are serviced regularly and we abide by the crane safe regulations in Australia, as safety is our top priority at all times. We take pride in our well-maintained fleet of franna cranes for hire ranging from 15t to 20t that can carry out almost any workshop, civil works, residential or commercial lift and shift job. Our unique mobile crane hire business in Brisbane is completely paperless. Our drivers carry iPads to make our customer’s lives easier and for a more streamlined approach to back of house operations. 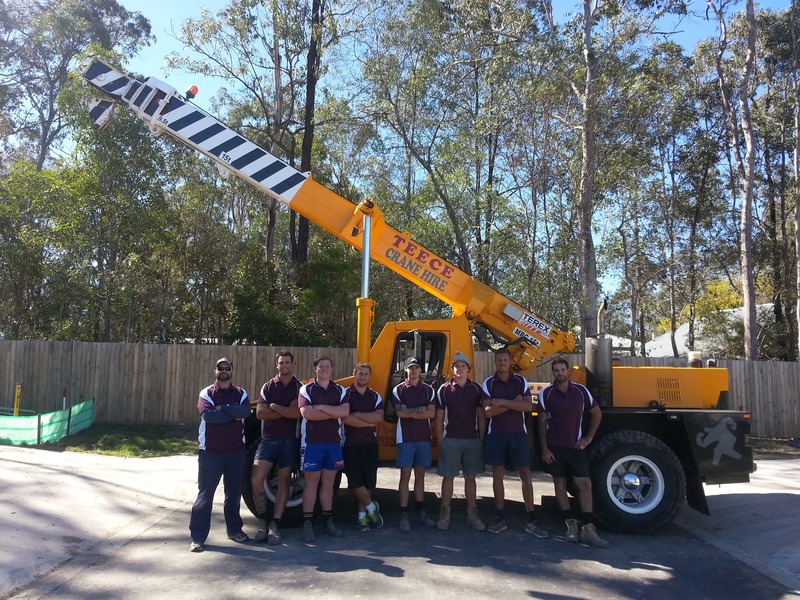 We offer wet hire pick and carry crane services across South East Queensland. We have the gear and the expertise to get your lift and shift project done right, on time and within the tightest of budgets. 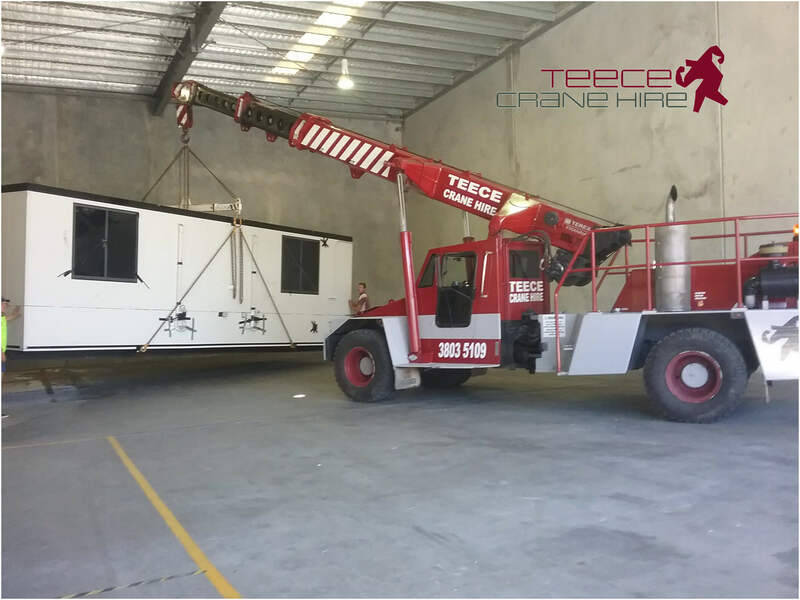 That’s why Teece Crane Hire is quickly becoming an industry leader in crane services and mobile crane hire across Brisbane, Gold Coast, Sunshine Coast, Ipswich, Logan, Waterford, and Toowoomba.